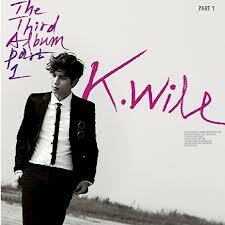 K.Will (Kim Hyung-Soo) is a south korean singer, songwriter, dancer, vocal coach, composer and actor. He debuted his first album - Left heart in 2007, followed by Love 119 in 2008. K. Will is one of the few singers in Korean who is able to sing R&B in such a charming manner. This talented singer demonstrated great groove and singing ability in this song. Glad to see him on comeback stage, his live performance is so good. This song is doing well on the music chart and i am glad that he chooses this song as the title track. His nice vocal blends in with the song perfectly. A nice song which is highly recommended, especially to couples who are in love. K. Will sang with passion and conviction that brightens up the relationship. K. Will has the ability to attract his audience through his voice which is amazing. This is the OST for Arang and the Magistrate sang by K. Will. This is a beautiful song sang by K.Will which touches the hearts of many. K. Will can sing R&B blues so well, i am blown off by this song although it is not the main track of this album. K. Will has a beautiful voice certainly, without any doubts.